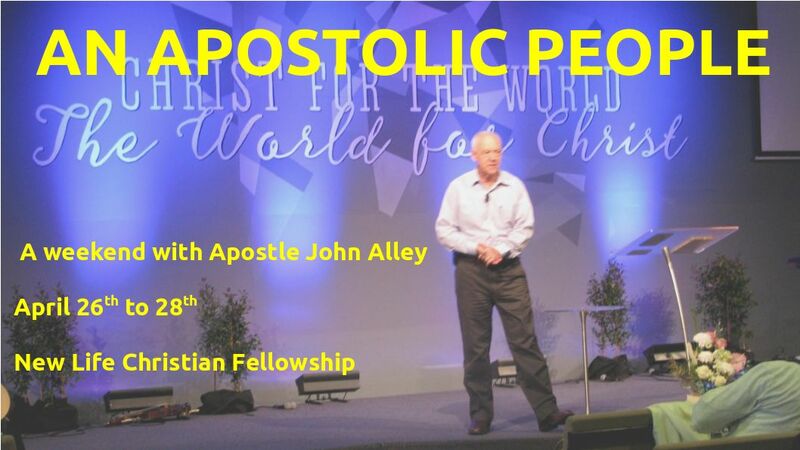 John Alley is the Apostle that New Life Christian Fellowship recognises, and is spiritual father to Pastor Keith. For decades, John and members of his church in Rockhampton have been travelling the nation and the world teaching pastors, churches and networks of churches about the restoration of apostles, spiritual sonship, and growing genuine community in the church. You can find more about John at the Peace Ministries web-site. We are honoured to have John come to Narrbri and share with us on the weekend of April 26th to 28th. There is no registration fee for this weekend, but we hope you will be ready to give generously to John and his ministry.